Nancy Pelosi swept into office on a blue wave in 2018. The newly elected House Speaker is now rising high. But her days in control of the House of Representatives are numbered because of one thing. 2018 was a pretty good year for Democrats. But for Nancy Pelosi it was fantastic. After picking up about 40 seats in an electoral wipeout against Republicans, Pelosi entered 2019 as Speaker of the House of Representatives for the first time since 2010. Her caucus is also much more in line with her own political views than the one she commanded nearly 10 years ago. But she has one thing which could ruin it all. Many of her freshman Democrats who helped to propel her to victory in 2018 are in extremely dangerous seats. The recent federal government shutdown and the tense negotiations over the border wall are leaving many of these newly elected Democrats vulnerable in 2020. Pelosi’s caucus took power by flipping not just swing districts, but seats which lean Republican and which voted for President Trump in 2016. “Some newly elected Democrats are increasingly frustrated that they are taking complaints from angry constituents without having a mapped-out plan to end the partial shutdown – which became the longest in American history this weekend,” adds the Wall Street Journal. 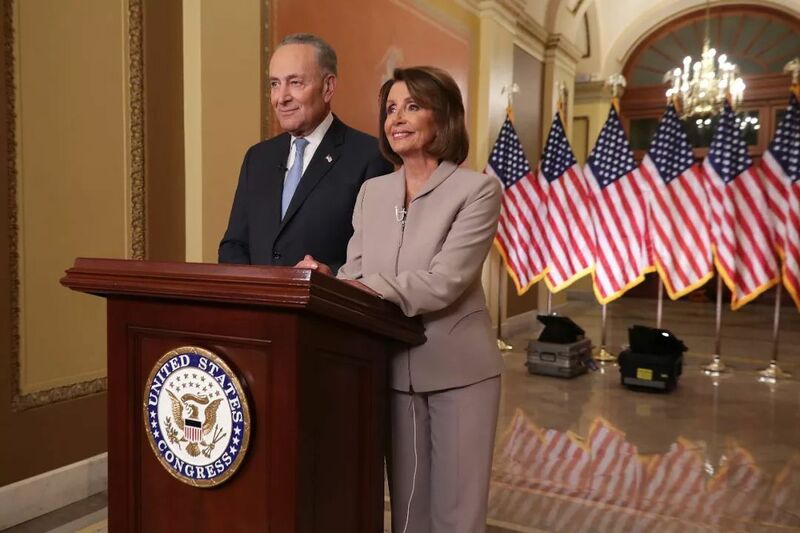 While many Democrats oppose the wall or additional border security measures, those same Democrats were elected to office on a promise to compromise and work across the aisle. The shutdown, which serves as the pinnacle of Washington gridlock, demonstrates how those promises were broken even before many Democrats took office. As Democrats eye the 2020 elections as an opportunity to retake the Senate and defeat President Trump, Democrats should be worried about holding the House. Pelosi’s coalition can’t afford to fall apart in the same type of districts which voted for Trump before and are poised to do so again. If the shutdown continues and Congressional gridlock gets even worse, the promise of reasonable and rational governance from House Democrats will be shattered. And that could result in many of them losing next year as President Trump returns to the top of the ballot in many districts that supported him and other Republicans before. The clock is ticking on the Democratic majority. With the shutdown showing no end in sight, Democrats are increasingly being squeezed on all sides. Their liberal base demands to push further, but their moderate constituents who gave them a chance in 2018 want to see compromise. One false step and the entire house of cards can and will collapse. And with less than a month after taking power, the House Democrats and Speaker Pelosi are already making multiple false steps, beginning with their inability to compromise and work with Republicans to end the shutdown. We will keep you up date with any new developments in this ongoing story.